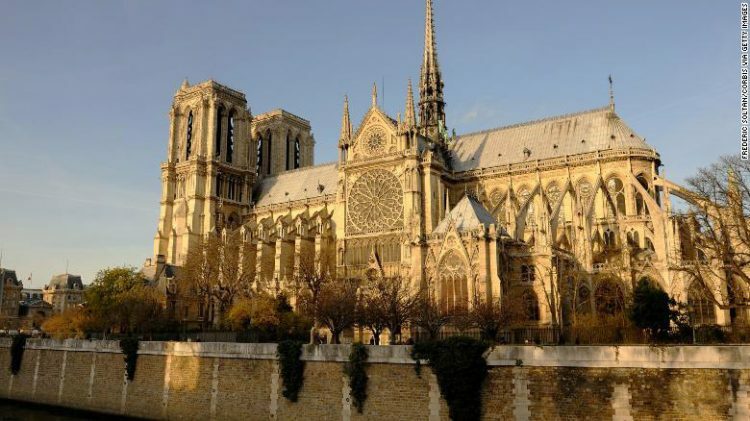 Notre-Dame Cathedrale on Seine River in Paris’s 4th Arrondisement in 2015. 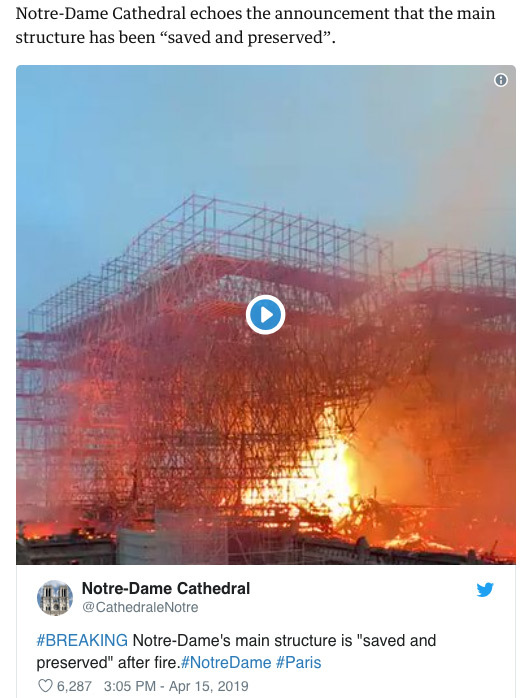 Notre-Dame Cathedral on Monday evening, April 15, 2019, burning as roof and spire collapsed and authorities warned that it “is not certain” the blaze can be stopped as it burned up the largely wooden structure. The Cathedral’s foundation stone was laid in 1163 by Pope Alexander III. 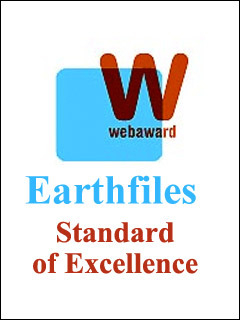 April 15, 2019 Paris, France – French President Emmanuel Macron announced on Monday evening that a fire broke out in an attic of the eight-centuries-old Cathedral of Notre-Dame. 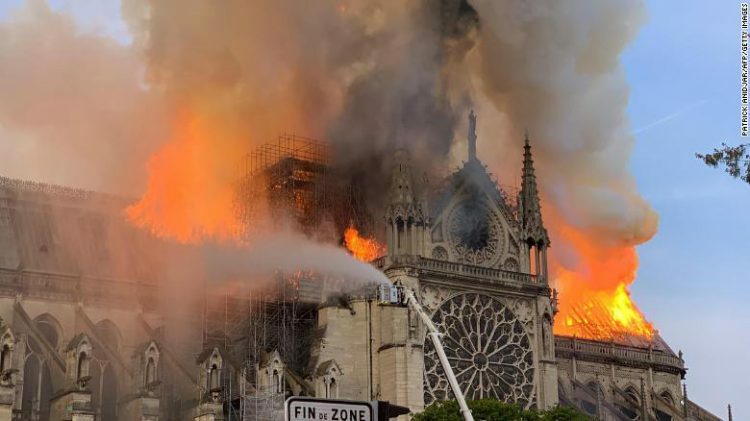 The roof and tall spire collapsed and authorities warned that it “is not certain” the blaze can be stopped. The Cathedral’s foundation stone was laid in 1163 by Pope Alexander III and finally opened to the public in 1345.